This page contains information on Earth changes world-wide, including volcanos, wind, water, earthquakes, mud, fire, insects and plants. How Volcanoes Work http://www.geology.sdsu.edu/how_volcanoes_work/ This website is a comprehensive educational resource that describes the science behind volcanoes and volcanic processes. Northwestern Hawaiian Islands http://www.hawaiireef.noaa.gov/ This website has been established to provide the public with information on the Northwestern Hawaiian Islands Coral Reef Ecosystem Reserve and on-going activities related to its management. 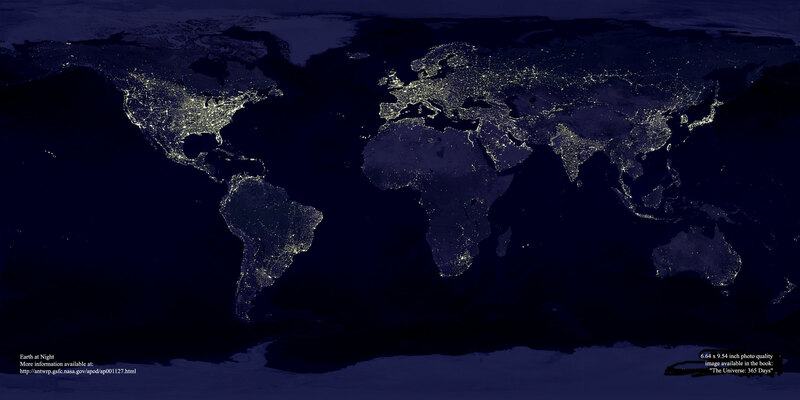 This is truly an awesome picture of the whole planet at night with lights coming from every country. Notice where the most lights are and there are lights in areas where you wouldn't think there would be any.